Over thanksgiving break, I returned to my alma mater, Pace Academy, in Atlanta to watch the boys and girls varsity basketball teams in their annual Thanksgiving tournaments. The girls were scheduled to play first at 4:30 and the boys followed at 6. I arrived at the gym about 10 minutes early and the scene reminded me of the one Mika Lavaque-Manty describes in his work, titled, “Being a Woman and other disabilities”. Lavaque-Manty discusses a photo of a 1910 Michigan women’s basketball game in which there are no spectators in the crowd. Similarly, at this game, the bleachers were empty aside from a few parents of some of the players. It was this moment that made me concentrate solely on the differences between the girls and boys games. In my Comparative Literature class, we are discussing the experience of watching sports. We recently read two articles that debate why the WNBA is not as popular as the NBA, both focused on the entertainment that comes with watching a women’s basketball game. The first, written by Stacey Pressman, explained how she believed that the lack of popularity of the league was due to the minimal entertainment value that the play provides. The other was Graham Hays’ response to Pressman, in which Hays said that the claim was ridiculous, and asserted that the lack of popularity comes down to the trivial fact that the women are not as athletic and can’t dunk. I recently attended both the men’s and women’s basketball games against the University of Detroit. To get a good seat for the men’s game, you would need to show up at least an hour in advance, while for the women’s game, arriving at tipoff guaranteed you a seat in the lower bowl. Of course, the women’s team has not had the same success that the men’s team has had and this can contribute to the attendance discrepancy, but it is more about the lack of great athleticism in the women’s games. In other words, everyone must obey one sole authority. They no longer really think for themselves- instead, the sovereign, or the Leviathan, thinks for them. Even if they would have disagreed with his actions before divesting themselves of all their power, once he has become their ruler they simply have to go along with it. 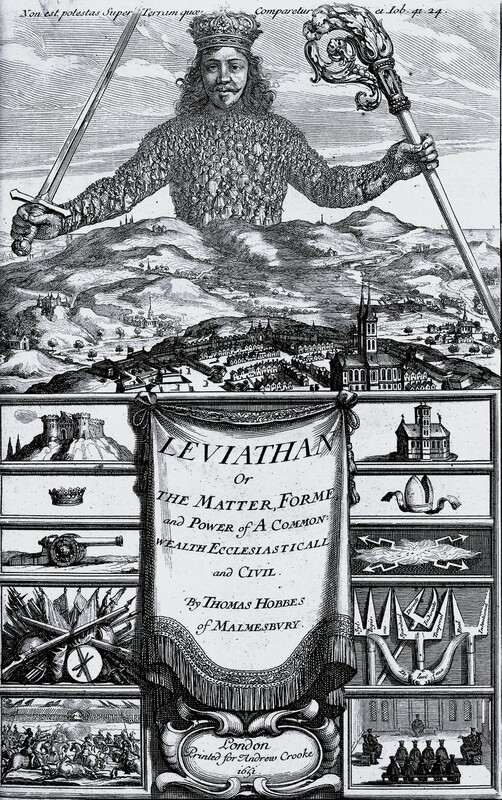 I learned that the hard way when we simulated the various forms of social contracts in lecture- I was in the room with ‘Sovereign Peterson.’ Once we’d chosen him as our Leviathan, he starting going absolutely haywire and making decisions that contradicted with our incredibly vocal protests. The reading and the lecture activity both had me thinking back to an experiment I learned about in AP Psychology my senior year of high school. This experiment was the Milgram Experiment on obedience and authority. In it, Stanley Milgram, a psychologist at Yale University, created a situation in which he acted as an authority figure that was a lot like Hobbes’ sovereign. Huizinga – Let’s Agree to Disagree. Over Thanksgiving break I attended my thirteen-year-old brother’s travel basketball game. It was his opening game and he is always trying to impress me, so consequently he was pretty nervous. I was very excited to see him play because each time I watch one of his games, it is clear that he has improved. Once the game started, I couldn’t take my eyes off of the court. Soon enough, he’ll be able to beat me in a game of 1v1 which is a very scary thought. His team played hard and he lead them to victory. Just last night I attended the Michigan vs. Syracuse basketball game. This was the second Michigan basketball game I have been to this year, but by far the most exciting of the two. The first half was relatively tight, but we went up by 10 points in the second. However, Syracuse came back and tied the game up 63-63 with approximately 1:30 left on the clock. Spike Albrecht hit a three pointer to send us up by 3, a deficit Syracuse would come close to overcoming but fall a bit short in the end. The atmosphere in the Chrysler Center was tangible. Everybody in the crowd was having fun, yet I can argue the players were not. Thucydides’ “Melian Dialogue” depicts the conflict between the superior Athenians and inferior Melians. The Athenians essentially give the Melians two simple choices. The Melians could either give up and join the Athenian army or they can refuse and the Athenians will attempt to destroy them. To make a long story short, the Melians refused to join the Athenians and unsurprisingly, the Athenians ended them. On the contrary, Andrea Joyce and the 1980 US Hockey team provide examples of overcoming great odds to earn success, something the Melians were unable to accomplish. Ferguson has become the epicenter of protests on racial stigma of police officers that have spread across the nation. 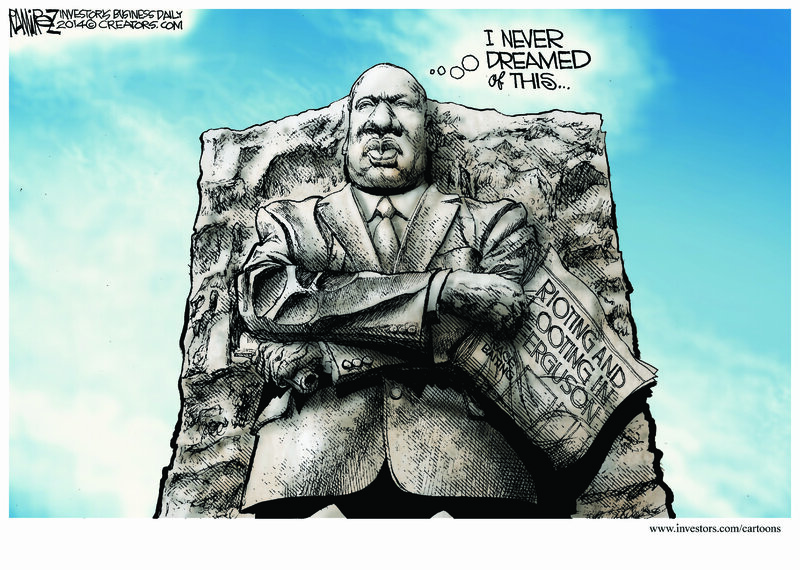 Much like Birmingham, Alabama was 50 years ago for civil rights of blacks at large. But in both cases there were many who believed that the protests and the ensuing violence were not justified. In his “Letter from Birmingham Jail” Martin Luther King Jr., the leader of the Civil Rights Movement gave his formula of where “direct action” was vindicated. Let’s compare to see if Birmingham and the protests against police racial violence fall in that category.